A second bombing in the wake of Brussels has occurred at an area near children’s rides at Gulshan-e-Iqbal park in the city of Lahore, Pakistan, as Christian families were celebrating Easter. 60 are currently confirmed dead and at least 300 injured, though these numbers will likely rise. Most of the dead and injured are women and children. 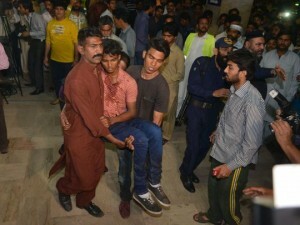 Pakistan’s Prime Minister Nawaz Sharif expressed anger and grief following the bombing, and Punjab Chief Minister Shahbaz Sharif has declared three days of mourning to begin on Monday.